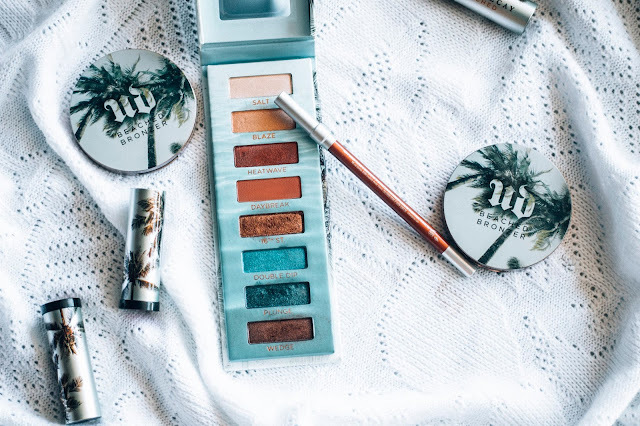 13 reasons why YOU need Urban Decay's newest collection - 'Beached.' 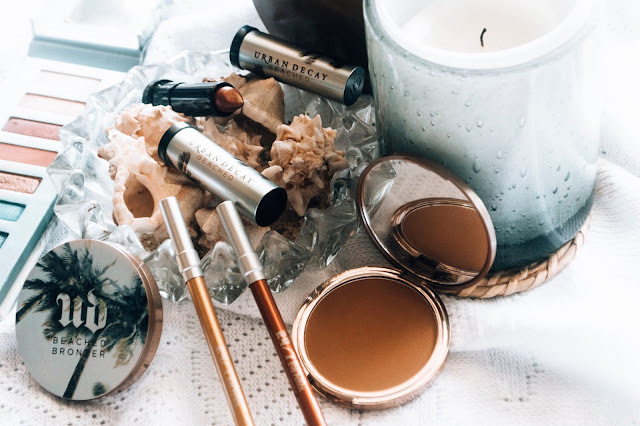 I know I speak of many beauty products but we all have those certain brands we go back to because one or the other is the HG (Holy Grail) for whatever we are using it for. This collection is by far my most desired. Learning how to properly apply make-up to either accentuate my best features or divert attention from my disliked features is like cooking for me. I can cook any hispanic dish but when it comes to anything else I need help. I watch, read, copy, fail, try again, add a little bit of my own spice to it, etc... I did not have to do this when reviewing this collection. 1) I am going to be 100% honest with you. 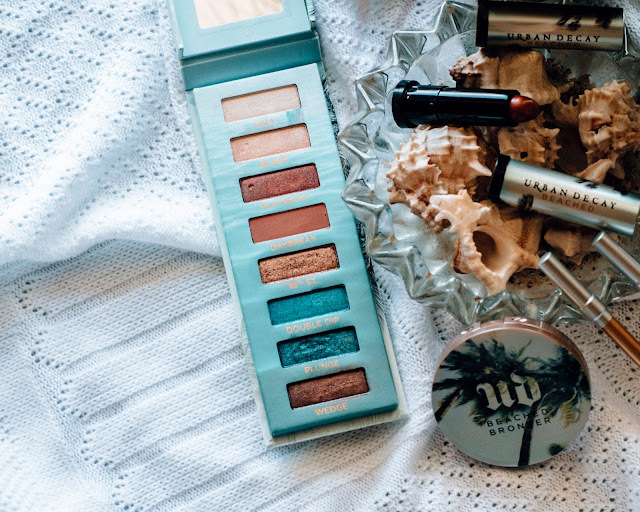 I have mentioned Urban Decay enough times to create 3,329,961 impressions. Don't believe me? click here!! 2) This is a limited collection! You don't have much time to purchase it so trust me, click the images below, and shop! 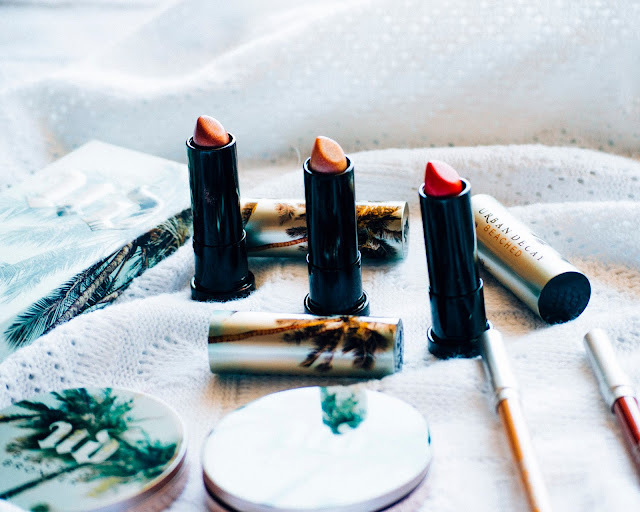 3) It is vacation season and this collection was specifically made accordingly with what colors are trending for fashion, you don't even have to think twice about what to put on your face. 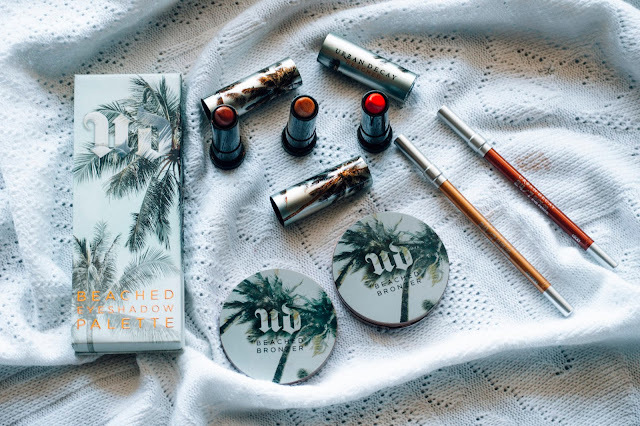 The Urban Decay team did it for you! 4) I was able to use all that is shown as my eyeshadow, extra eye liner below my lids, highlighter, contour, bronzer, blush, lipstick, and lip liner. 5) I used the darker glide on eye liner 'Lucky' under my eyelids to make my eye color pop. Anyone who knows me knows I am obsessed with convincing people my eye color is not just brown. I doubled dueo'd (not a word, I know) and used it as a lip liner before applying my lipstick. 7) The pigment of each color came on so smoothly I was able to use my finger to apply and then use a fluffy brush to blend, that's it! I gave myself 5 minutes per eyelid. Unfortunately, I am still learning how much blue to add in order to show up in the cam so....trust me it's there. 8) Their three lip colors are all so different. One is pigmented and the others are the perfect shade or shimmer. My favorite was 'Heatwave.' There was a day I applied the 'Heatwave eye color' and paired it with their '100 degrees' vice lipstick and I kept getting my most favorite compliment..."I never noticed you have colored eyes." 😭😭😭 The eyeshadow color mentioned is shown above. 9) The far left is the ones used in my selfie and I cannot stress how much I LOVE IT! It took ONE layer alone to achieve my desired look. 10) Unbelievable but each lip color compliments each eyeshadow palette. The product development team did an absolute brilliant job! 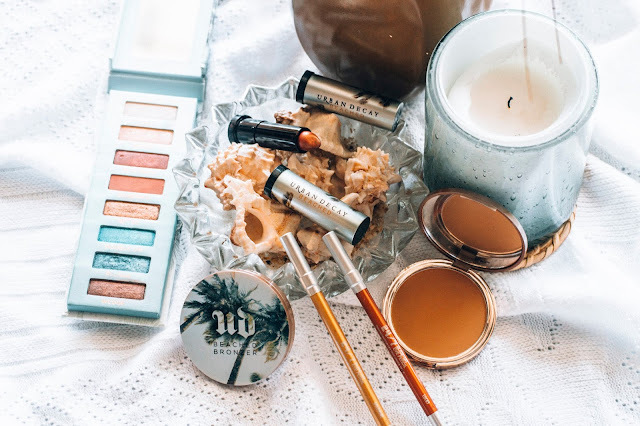 11) I have owned so many UD products for years...not sure if that's sanitary but I know, I know, the price tag can be intimidating but quality over quantity. I'd rather own that one colorful palette than several failed attempts I can't return. 12) Their bronzers I was so weary of. I have a favorite one that is not UD but I trust this brand so I erased my memory and gave it a fair chance. 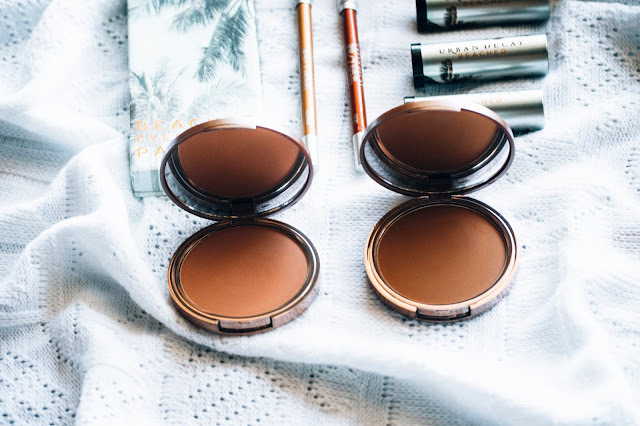 13) Depending on the person the sun-kissed (on the left) can be used as blush or the bronzer alone. I personally love being dramatic so I used their 'Bronzed' on my cheek bones. I then used their sun-kissed as a light contour over my forehead.